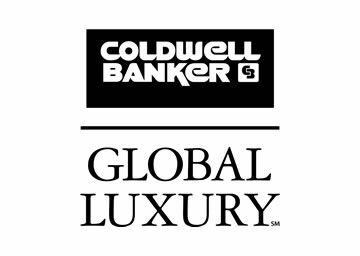 Only owners of real estate in the Tahoe Donner ℠ area and their guests may enjoy the exquisite Sierra Nevada Mountains overlooking the tranquil blue Donner Lake at the Tahoe Donner SM Marina and Beach Club. 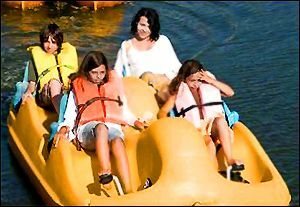 This is certain to be a fun day trip for everyone in the family! 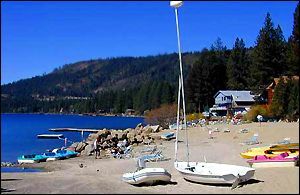 The Marina and Beach Club is actually located outside of Tahoe Donner ℠. 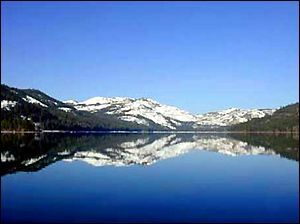 It can be found by taking Donner Pass Road to the east end of Donner Lake. It is just west of, and adjacent to, Donner Memorial State Park. This amenity is a real gem for owners of Tahoe Donner ℠ real estate and their guests! Whether you choose to sit on the beach with a good book or participate in some of the many water-oriented activities, you will find this spot to your liking. The sandy beaches, marina, barbecue area, boat rentals, and boat launch are there for your enjoyment. 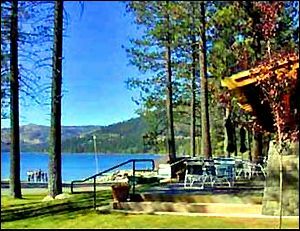 The Tahoe Donner SM Marina & Beach Club snack bar offers an extensive menu throughout the day. If you prefer, you can sit on the large deck where you can enjoy your meal while overlooking Donner Lake. A retail/rental center adjoins the snack bar where Tahoe Donner ℠ property owners can purchase items such as sunscreen, and batteries, so there is no need to run back to town. Canoes, kayaks, windsurfing gear, pedal boats, and a 14-foot sailboat are available for rent. Sailing, windsurfing lessons, and special events are held throughout the summer. Generous parking for vehicles with boat trailers is available. 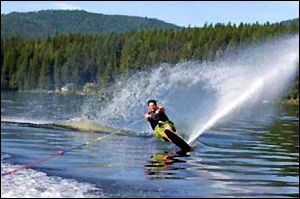 The Tahoe Donner SM Marina and Beach Club is available from late May through early September. For further information about the Tahhoe Donner SM Marina and Beach Club call (530) 587-9460 or click here.